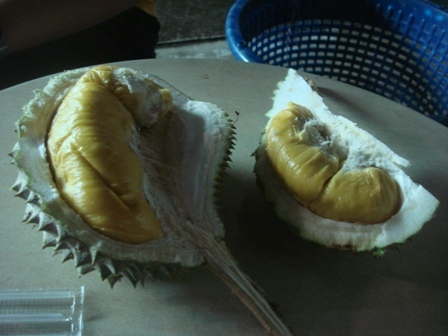 This is the durian place that I’ve been raving about – great for its butter durian. I’ve been frequenting this place so often! This place is mid priced but provides great quality! A lot cheaper than those in Geylang. Although the durian season is coming to an end, U still can get delectable pastries from this shop as well. 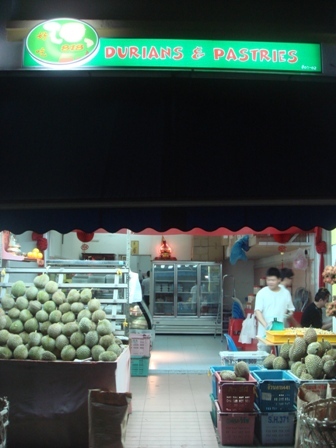 If you’re still craving for durians, do try this place! Really! 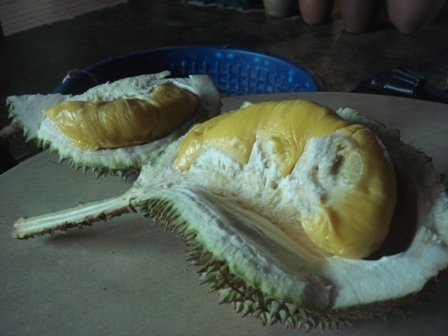 I find the quality of the durians there really good! 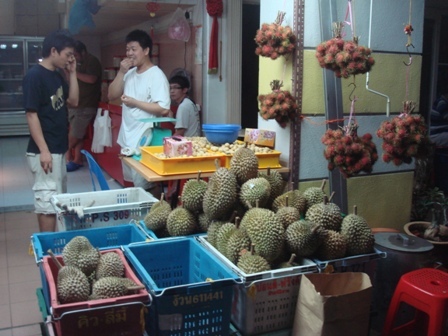 Tho’ I don’t stay near there I still make my trip there for durians! I’m one of those that would travel for good food! The last I paid was $16/kg for Mao Shan Wang, but I think the price should’ve dropped by now. 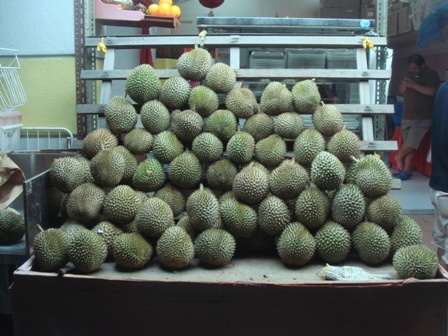 🙂 They don’t cheat on the weight which is what I really like cos every durian they weigh & write down & they give free water to every patron!